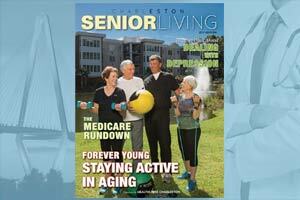 South Carolina�s retirement communities have much to offer and are well worth a second look. Properties available for consideration include Charleston�s Del Webb at Cane Bay; Bluffton�s Lawton Station, Sun City Hilton Head and Alston Park; and Hilton Head�s The Seabrook of Hilton Head. Others, such as The Reserve at Colony North and Sun City Carolina Lakes, might come to mind. 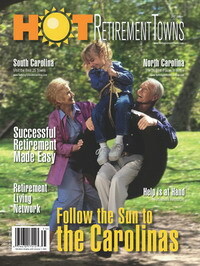 Lawton Station, a gated retirement community in Bluffton, South Carolina, boasts 14 different floor plans, a wonderful location in small-town Bluffton, a park in the middle of the community, a fully-equipped fitness center, a resort-style swimming pool, social events, a playground and much more for the value-minded, discriminating retiree. Ashley Ahmann, who has lived in Lawton Station since May 2011, enjoys close the relationships among residents of Lawton Station�s three distinct neighborhoods. Moving farther north, near Charleston, Dan Ryan Builders� The Reserve at Colony North is well within the reach of many retirees seeking that �perfect place� to call home. Nine-foot ceilings, satin nickel door hardware, wiring for ceiling fans, cable and phones, and General Electric kitchen appliances are features that are appreciated by residents who move to this North Charleston, South Carolina, jewel. Eight distinct and flexible floor plans offer potential retirees at the Reserve at Colony North a great amount of choice and expression in their desires in a new home. Eight short miles from South Carolina�s border with NC and only a short distance from Charlotte, this Del Webb community has a 40,000-square-foot recreation center overlooking a lake. Sporting a state-of-the-art fitness center, the active retirement style is attractive to today�s active and health-minded buyer. It�s been reported that sales have been going so well that a second amenities building is planned. 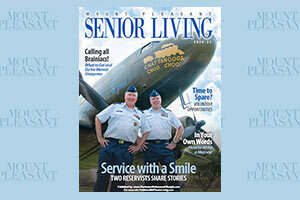 A discussion of South Carolina�s retirement neighborhoods wouldn�t be complete without The Seabrook of Hilton Head. This wonderful community enjoys a location in golf-famed Hilton Head, South Carolina. The landscape of The Seabrook features gazebos, lagoons and covered walkways that - combined together - are something of a nature walk for those who love active living and the beauty of nature. Besides golf and beauty, residents are also pampered by lectures given by guest speakers, recreational tournaments, exercise classes, educational seminars, shopping and special excursions.